Stack washer and dryer units can be a great space-saving option for laundromats, apartment complexes, and other on-premise or multi-housing laundry facilities. OEM Laundry Parts has top-of-the-line stacked washer/dryer units in both coin-operated and non-coin options to fit your business. Call OEM at 904-240-0211 to discuss your commercial laundry equipment needs today! This Speed Queen (STENCASP175TW01) coin operated stack washer and dryer has both the inner drum and outer drum made from stainless steel unlike many other brands that are made out of plastic. 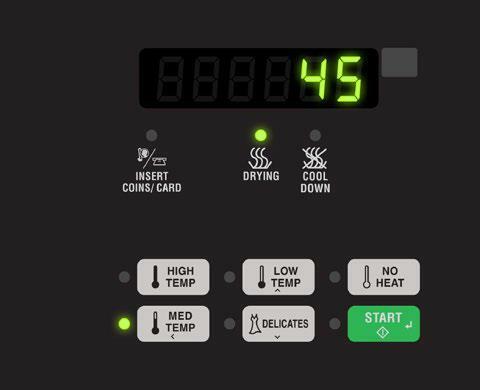 The commercial washing machine has a dynamic balancing system that will redistribute the out of balanced loads by using its on board logic programming. Speed Queen's stack washer also has a high extraction speed of 1200 RPM that delivers 440 G-force and a low water consumption of only 11.7 gallons to help conserve on water usage. Both the commercial dryer and the washer door open up to 180 degrees to make it easy to load and unload your laundry. The coin operated Speed Queen dryer offers extremely fast and efficient drying by utilizing its superior airflow pattern that has been designed by Alliance Laundry Systems. The commercial stack dryer also offers a large 7.0 cu. ft. cylinder and has very large and easy to clean lint filter which is located in the front of the dryer to make for a convenient clean out. This electric operated commercial stack washer dryer is a great option for guest laundries in hotels with limited space and is a convenient option for apartments and multi-housing when space constraints are an issue. 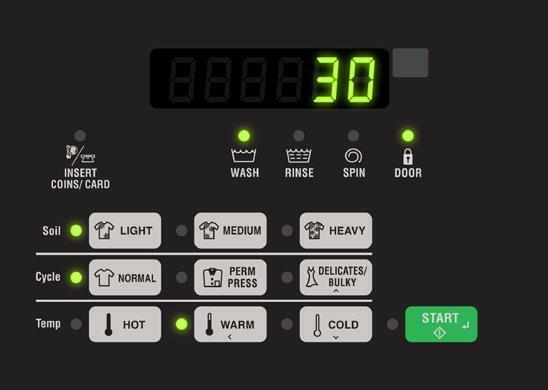 Speed Queen's Quantum Control, electric operated commercial washer requires 120V/60Hz/1Ph and the dryer requires 240V/60HZ/1ph. * does not include the coin boxes.